The Malayalam actress Priya Prakash Varrier created a sensation with Manikya Malaraya Poovi Video Song from her debut film Oru Adaar Love. She enjoys huge fan base and Priya Prakash Varrier emerged as the most searched celebrity on Google. 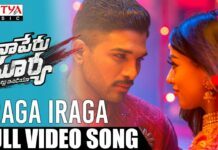 Tollywood Stylish Star Allu Arjun has been extremely impressed with the song and shared it on his official social media page. Now stepping ahead, Allu Arjun has reprised the actress’ role and Ayaan is seen playing her co-star Roshan Abdul Rahoof. The way both father-son performed, it is truly adorable. 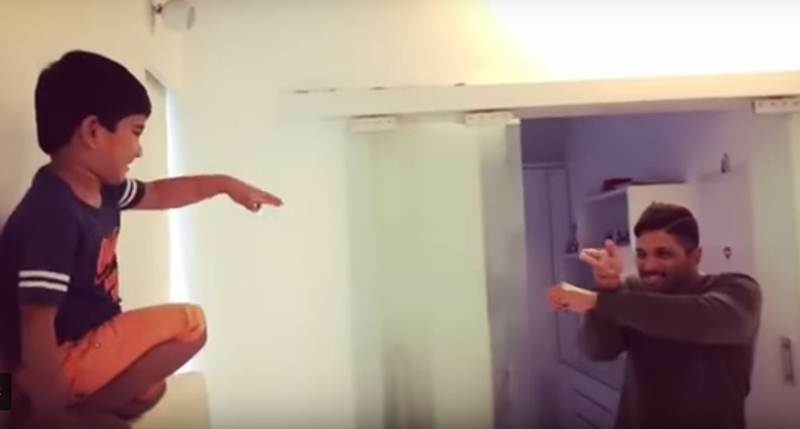 This adorable video is going viral on the internet. Few Days Back Actress Priya Prakash Varrier had said that she is a huge fan of the stylish star and was overwhelmed to receive a compliment from him. And now, Priya Prakash Varrier shared another on her Instagram page which is too adorable. 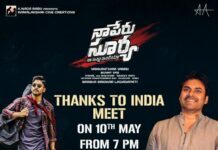 In the video, actor Allu Arjun is seen recreating the bullet kiss video along with son Ayaan and it is too good to be missed.